A pretty girly card Pat, hope you get a sight of that special train. So cute card! Thank for playing with us at Di's Digi challenge. 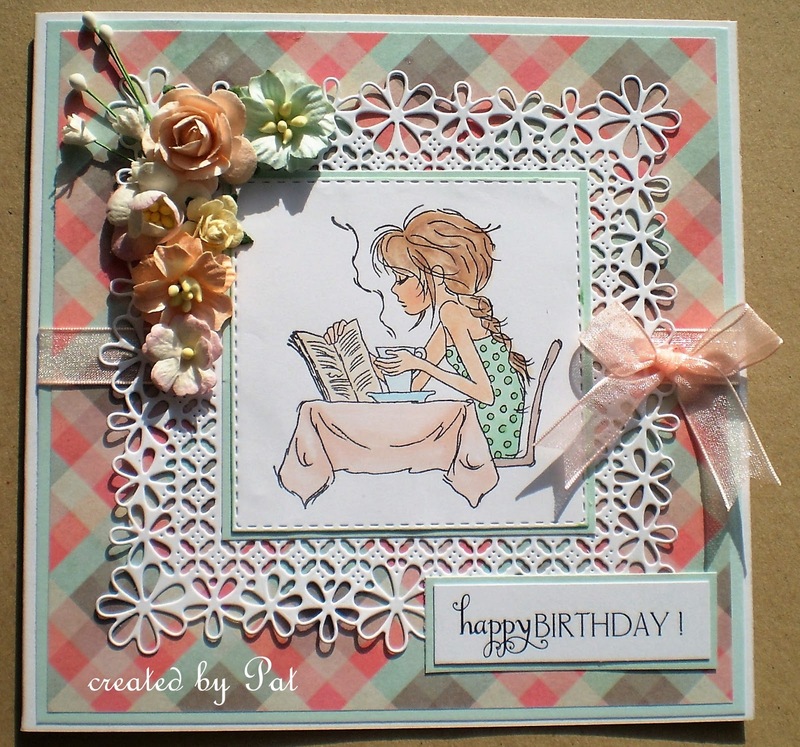 So gorgeous Pat, fabulous image, love that frame die! Your card is very pretty. I like the image. (for our challenge you need to add our challenge banner to be in the drawing for a winner) Thanks for sharing over at Creative with Stamps. Gorgeous card I love the soft, pretty colours and that frame is divine! Thanks for joining us at Crafty Cardmakers. Pat, I am sure your granddaughter will love this adorable card. They are all beautiful girls. This LOTV image is perfect for a 17 year old and the coloring is lovely. 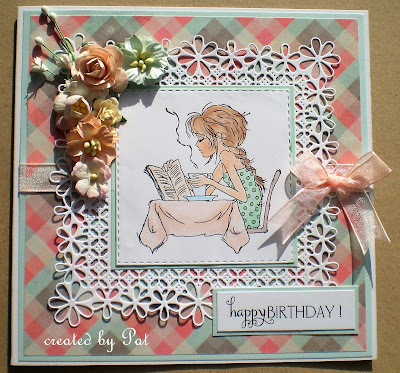 Thank you so much for sharing your design in our Birthday Challenge at Crafty Cardmakers! Ooh this is gorgeous Pat! I really love the flower frame die… so intricate and pretty. Your soft colouring is very beautiful and matches the pretty papers and embellies perfectly. My daughter and partner went on the Flying Scotsman last year on one of it's first runs… was expensive but they loved it.. great to have it running again. Beautiful card! Love the background die you have used! This is beautiful, Pat. I love the die cut frame and your fab colour combo, and the image is perfect for a 17th birthday. I'm sure Zoe loved her card. what a pretty flower die, and a beautiful image, thank you for sharing your gorgeous card with us at Cardz4Galz hope to see you again next time..